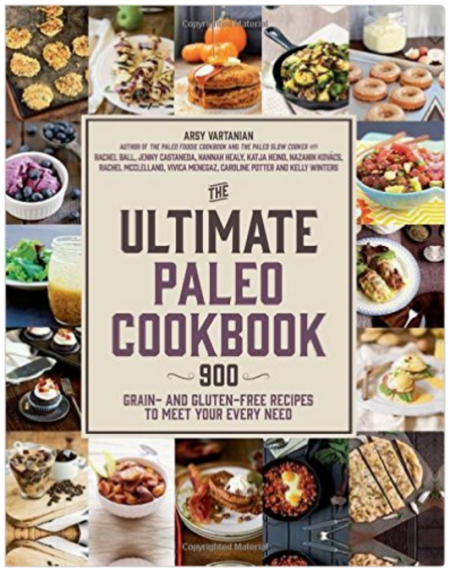 Eating a real food diet is all about awesome condiments. Having the right dressings, sauces, and add-ons turns a good meal into a fabulous meal. 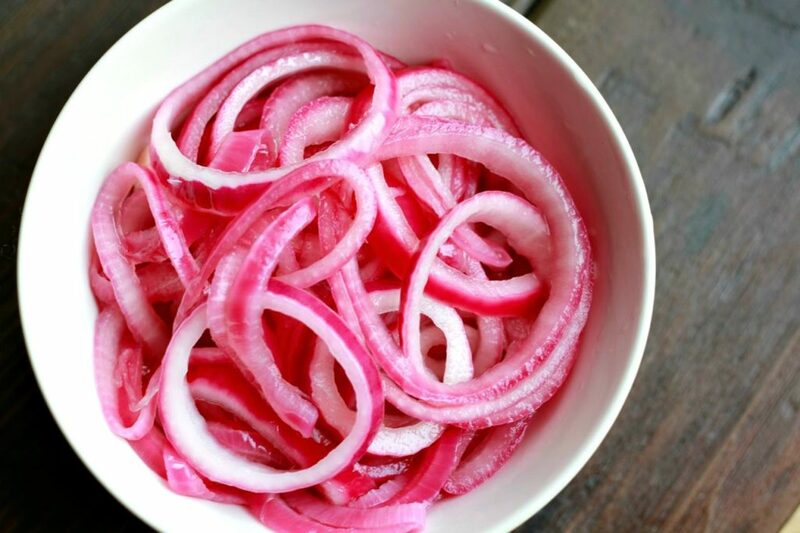 One of our favorites around here is Pickled Red Onions. And you can make them with less than 5 minutes of prep. 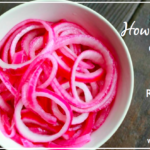 A few of the things that you will always find in my fridge are homemade sauerkraut, homemade mayonnaise, vital green pesto, homemade ghee, and of course, these deliciously beautiful pickled red onions. We eat simple, real, whole foods around here. And having the right condiments makes creating quick and easy meals fun. 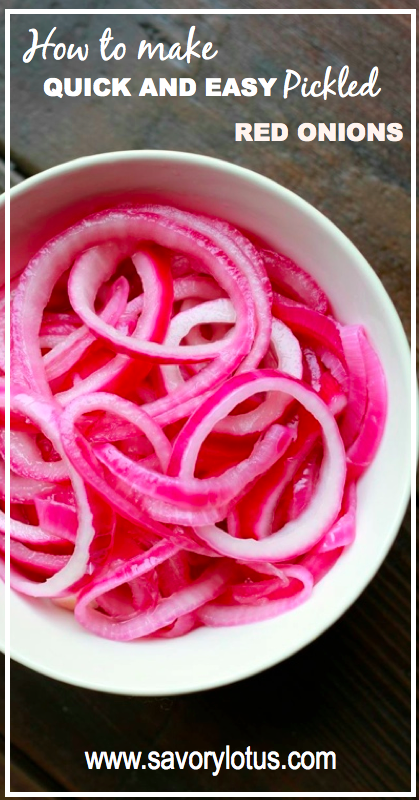 You are not going to believe how easy it is to make these vibrantly-colored pickled onions. Less than five minutes of prep. I promise. And there are countless uses for these zesty little onions. I add them to my salads. I love them with breakfast eggs and greens. 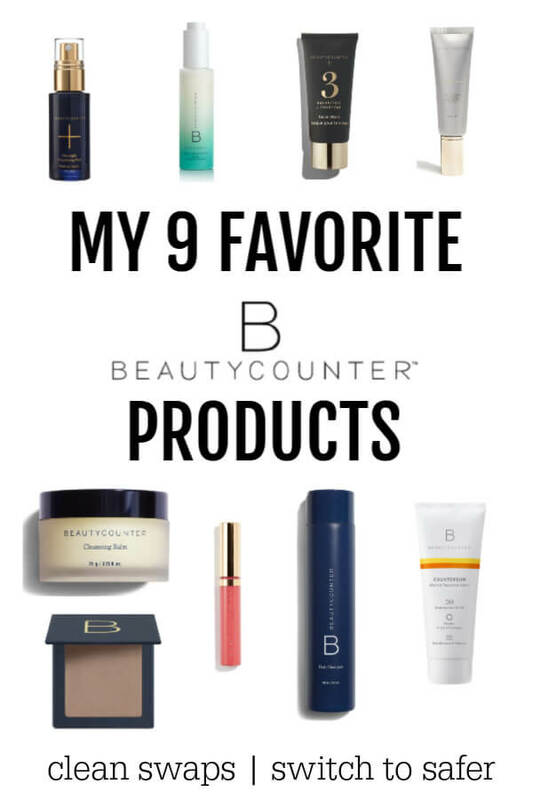 You can add them to your favorite sandwich or burger. Add them to shredded pork or your favorite taco. They make a tasty addition to any antipasta plate. These beautiful and vibrantly-colored onions add a nice flavor and crunch to any dish. ONLY 2 INGREDIENTS! 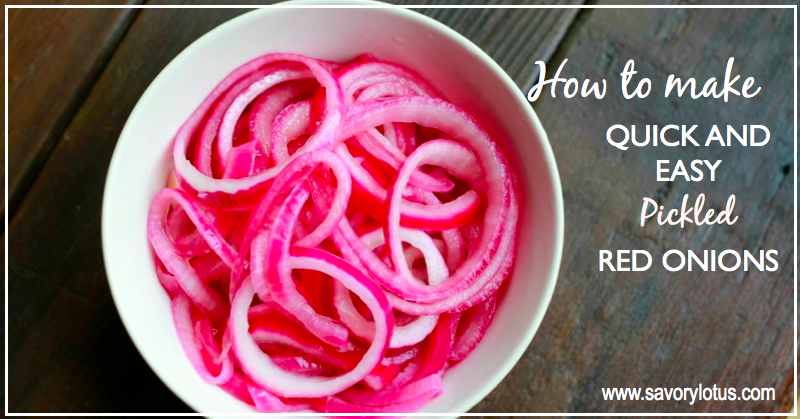 Yes, it only takes 2 things: red onion and apple cider vinegar. I prefer to use raw, unfiltered, unpasteurized apple cider vinegar because of of all the health benefits it provides. Not only has ACV been shown to support the immune system and improve digestion, it is also rich in vitamins and minerals and supports healthy detoxification in the body as well. Read more HERE about the health benefits of apple cider vinegar. I don’t usually add any salt to my pickled onions, but feel free to add a titch if it makes you happy. Once you make these, I am sure they will become a regular in your kitchen food rotation. ENJOY! Heat 3 cups of boiling water in your tea kettle or small pot. Place onion rounds into a sieve in the sink and pour boiling water over them. Drain and place into a shallow bowl. Pour in apple cider vinegar, stir, and allow to sit on the counter to cool for about 30 minutes, stirring once or twice. Sprinkle with optional sea salt. These look delicious! I can’t wait to make them. When storing them in the fridge do you leave the onions in the vinegar? Yes, I just leave them soaking in the vinegar until I want to use them. your recipe using white onions malt vinegar and a couple of cloves.. .. thanks for the recipe..
Can you store them in a mason jar and keep it in the fridge? Would they last longer than two weeks? I keep mine in the fridge in a glass jar. I don’t think they will last longer than 2 weeks.